Hey, every tinytruck lover everywhere! 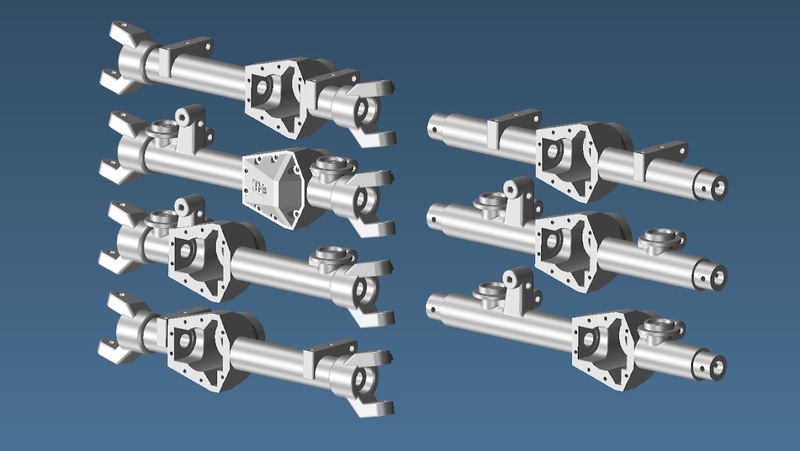 As usual, I like to discuss, so here's a thread for us SBG lovers to chat about axle stuff, and I'll show off and talk about our new GCM Axle sets called TM8! 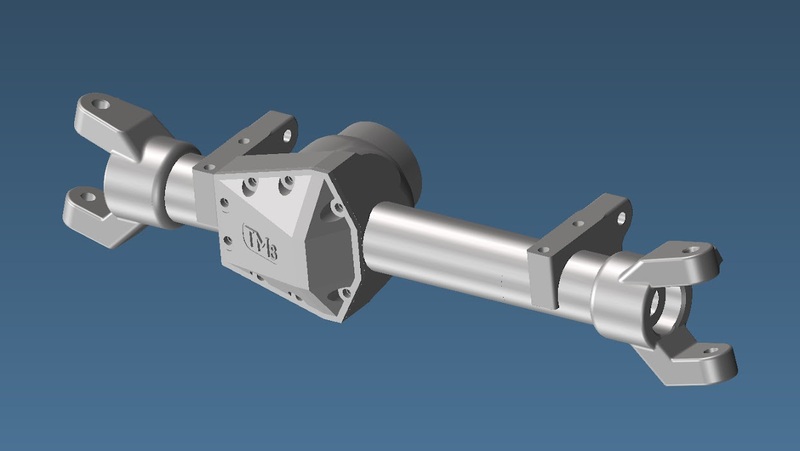 We decided to copy the real linked coil sprung trucks we build or would like to build in a more realistic way with this round of axle designs, so, please welcome the coil bucket and split shock design! Yay! Not enough for your build? We will now offer bolt on leaf spring varieties as well, with shock mount tabs for long and short shocks, ready for your build preferences! 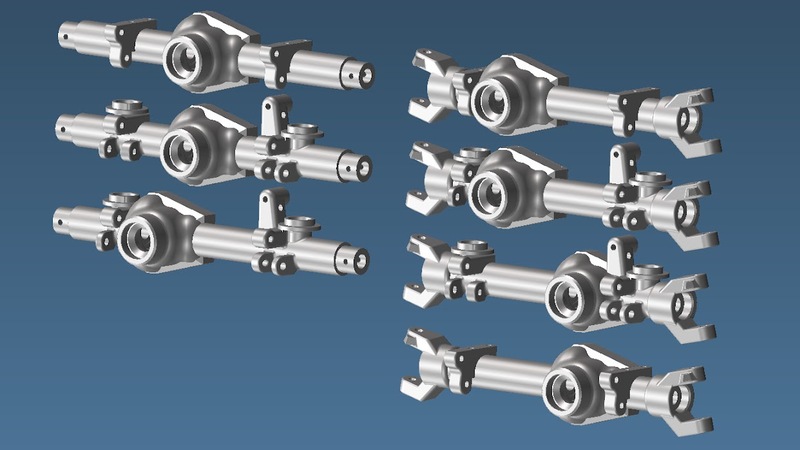 There's a ton of variety of trucks out there, so why not make axles that fit as many as possible, make them small for great clearance, use strong internal parts, and small enough for tire tuck on the vast majority of our truck builds? We have here right and left front axle housings, using a 178mm wide hex measurement outside to outside, Leaf spring or Split Coil bucket offerings, Rear leaf spring or Split Coil bucket designs, and of course the odd ball offset rear Toyota coil spring rear end as well. All our leaf spring spacing will direct fit any of the RC4wd leaf spring spaced axles you're already used to seeing in the industry, and can be used to replace leaf spring axles with only 4 bolts and a driveshaft. 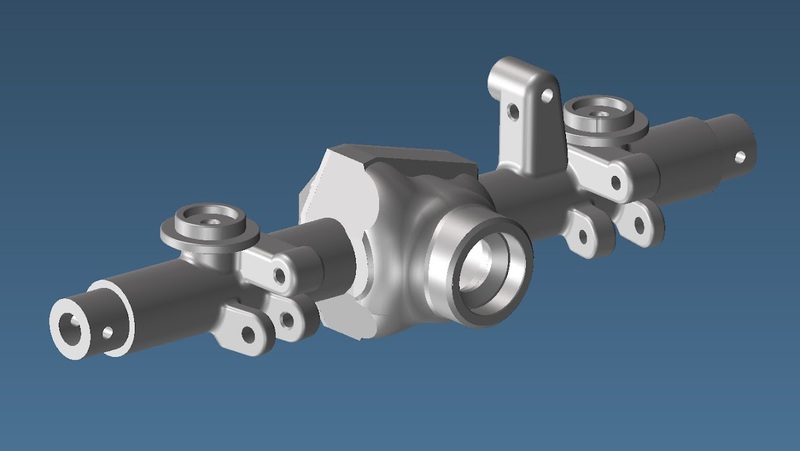 We are confident we can offer a solid and small axle with great performance, thanks to using Vaterra great steering knuckles, and CVD geometry (although in a proprietary GCM CVD and straight shaft design) with 8 degree anti-scrub angle and 4 degrees of front castor built in to the housings already. 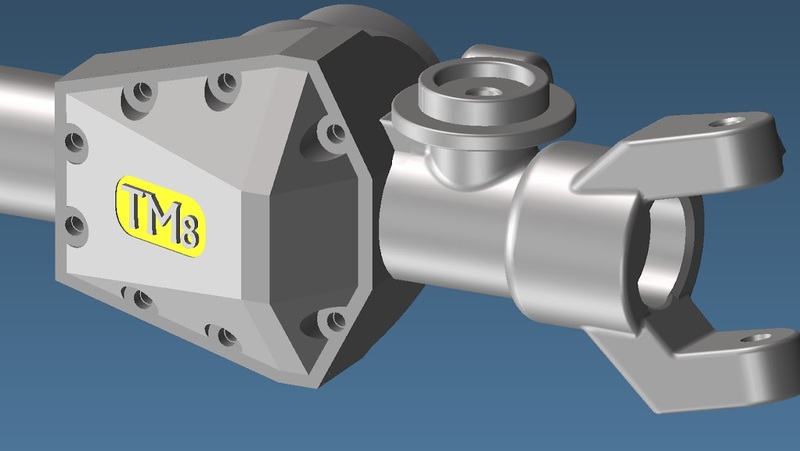 Add that to a new 8 bolt diff cover that also captures the bearing seats for the locker unit, also derived from the proven #tinytruck Vaterra Ascender lineup, and we've got a small axle set that will hold up to comp use, and still tuck in your tires very well with solid reliable steel parts inside. These are beautiful Chris. What's in the works? 3D printed? Injection molded? Cast aluminum? CNC? Look at all of those options! That will certainly please everyone. I'm going to start by replicating our proven TerraMod Nylon formula with a black finish, and see where it goes from there. I'm inclined to stay with this until I see what the sort of volumes are with the different types of housings and maybe there will be another material offered sometime later. I've got a slight RC addiction. Wow, I am amazed with all the thought that went into these. Many must have items here. I also changed the hex mount from the Ascender screw style to the straight pin Axial style and now they are down another bit more narrow! Yay! Yes, these will do it. They are more narrow than RC4wd current offerings. Any chance at a offset right rear leaf spring option? All times are GMT -7. The time now is 11:01 PM.